In collaboration with Cognite and Framo, Aker BP intensifies the digitalisation of offshore operations; new smart service contract will change the traditional approach to maintenance. The Ivar Aasen platform in the North Sea provides Aker BP with more than just oil. It also transmits vast volumes of data back to shore. The interpretation of this data is now set to make the platform amongst the most technically advanced in the world. “Aker BP's vision is to digitalize all our operations from cradle to grave. Key elements are transforming business models and activities through digital technologies and the liberation of data flows. 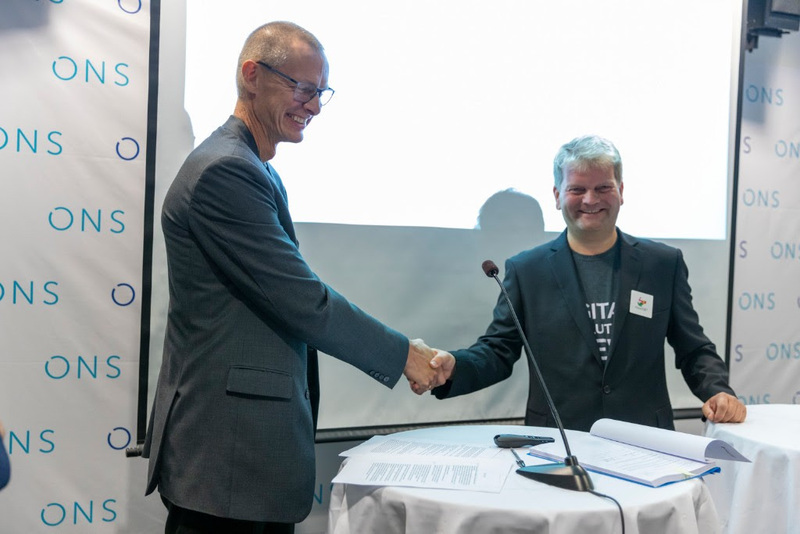 The smart service contract with Framo and Cognite is an important milestone on this journey, and underpins our ambition to take the lead in digitalization”, says Lars Atle Andersen, VP Operations – Technology & Digitalization in Aker BP. By using Cognite's data platform, contextualized live data is made available from Ivar Aasen. This provides Framo, the supplier of pumps to Ivar Aasen, real-time access to data from their equipment. “With Cognite making live and contextualized data available, we at Framo are able to create our own ‘apps' to predict the status of our equipment, allowing us to plan efficient maintenance. 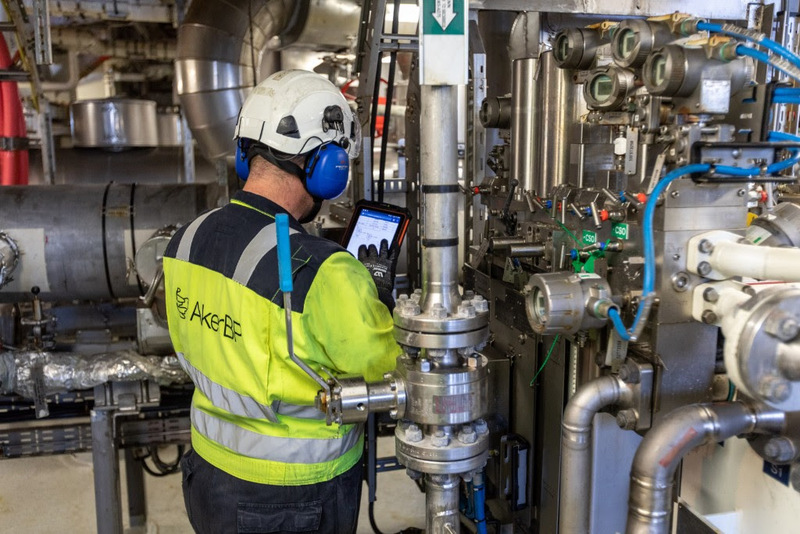 The new system sends intelligent data on our pumps, so we can predict how the pumps will perform in the future.” Says Trond Petter Abrahamsen, Managing Director of Framo Services AS. The overall goal of the collaboration between Aker BP, Cognite and Framo is to change the traditional approach to maintenance. Continuous flow of live offshore data allows for onshore monitoring of equipment replacing unnecessary scheduled maintenance activities with maintenance when needed. This also calls for a new approach to agreements, and on Wednesday 29th of August a special smart service contract between Aker BP and Framo Services will be signed. “The newly available insights of how the pumps of a specific installation are functioning, results in more efficient maintenance. While our service agreements previously just defined hourly rates, we will now focus on uptime. This is something completely new for us and has required the design of new smart contracts with Aker BP”, explains Trond Petter Abrahamsen. Aker BP will continue to digitalise their offshore operations, and the company's objective is to carry out profitable development projects, even at oil prices below 35 USD per barrel. Cognite's data platform is a core enabler for these ambitions. Cognite liberates and organises Aker BP's industrial data to create a digital representation of the industrial reality, both retrospectively and in real-time. It enables Aker BP to extract useful insights on its operations but also to share its data and insights with partners like Framo and to enable new services and business models. “The more we share, the better. If we can apply this technology in all our fields, our operations will improve. We are confident that this is a smart move. That's why we are clearly stating what we want to achieve and hope that many others will follow”, says Lars Atle Andersen from Aker BP. Image caption: New collaboration enables effective data sharing - Click image to download which may be used free of charge provided credit to AkerBP.